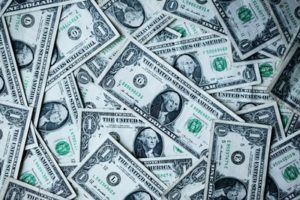 What Determines the Cost of Car Insurance in Ohio? A number of factors can affect the cost of your car insurance in Ohio – some of which you can control and some that are beyond your control. Age and driving history of principal driver – Crash rates are higher for all drivers under age 25, especially single males. Insurance prices in most states reflect these differences. Also, drivers who cause crashes generally must pay more than those who have gone crash-free for several years. How the car is used (how often and how far you will drive) – People who use their car for business and long-distance commuting normally pay more than those who drive less. The more miles you drive in a year, the higher the chances of a crash. Claims history – If you’ve not been involved in accidents, or at least not involved in accidents that you have caused, you’ll have lower auto insurance premiums. Make and model of the car – Car insurance providers often offer discounts to customers who drive safer vehicles. 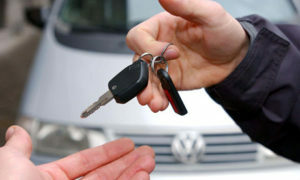 Driving vehicles that rate highly in terms of driver protection and passenger protection, means discounts on insurance. Where you reside – Generally, due to higher rates of vandalism, theft, and crashes, urban drivers pay more for car insurance than do those in small towns or rural areas. Coverage required (Collision/Comprehensive, minimum vs maximum coverage, personal liability, high or low deductible) – The higher the deductible, the lower the monthly payment. Your credit history – It has been shown certain credit information can be predictive of future insurance claims. Where applicable, many insurance companies use credit history to help determine the cost of car insurance. Maintaining good credit can have a positive impact on the cost of your car insurance. Am I Covered if I Loan My Car to Someone Else? No one can predict the future. You may loan your car to a friend, roommate, or family member, only to get a call that an accident has happened in your car. 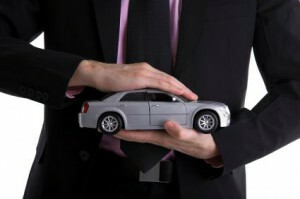 It is important to really understand your coverages and how car insurance works if another driver crashes your car. For those friends or family members who don’t live with you but use your car once in a while, you can typically loan them your vehicle and not worry that they’ll be covered. Permissive use generally applies in these cases. Permissive use means that if you give another driver permission to take your car, they will be covered by your car’s insurance coverage. However, you do not need to explicitly state your permission; the other person only needs to have a reasonable belief that they have your permission. So, if you loan out your car to driver who is not excluded on your policy, your car insurance is the primary coverage that would apply if a crash occurred. The driver’s insurance would act as secondary (or excess) insurance. This means that if you lend your car to a friend or a visiting relative, you could be liable if your friend causes an accident. This is to be distinguished from the situation in which your friend drives your car but another person causes an accident and causes damage to your car; in this case the insurance of the person who caused the accident will be the primary insurance. Now, if you’ve excluded a driver from your auto insurance policy, e.g., because his driving record is poor and it could save you money to exclude him, your coverage will not pay for damages he incurs in the vehicle if he takes your car and gets into a crash. Check your policy or contact your insurer to get the specifics on the terms, conditions, and any restrictions. Verify that your registration and insurance information are in your glove box. If you habitually lend your car to a non-resident relative or friend, or if your friend will be borrowing your car for an extended period of time (say a few weeks), consider adding him or her as an additional driver. Your insurer might consider the habitual borrower of your car to be a regular user of the vehicle, and if an accident occurs and your friend isn’t listed as an additional driver on your policy, your insurer could deny coverage on the claim.